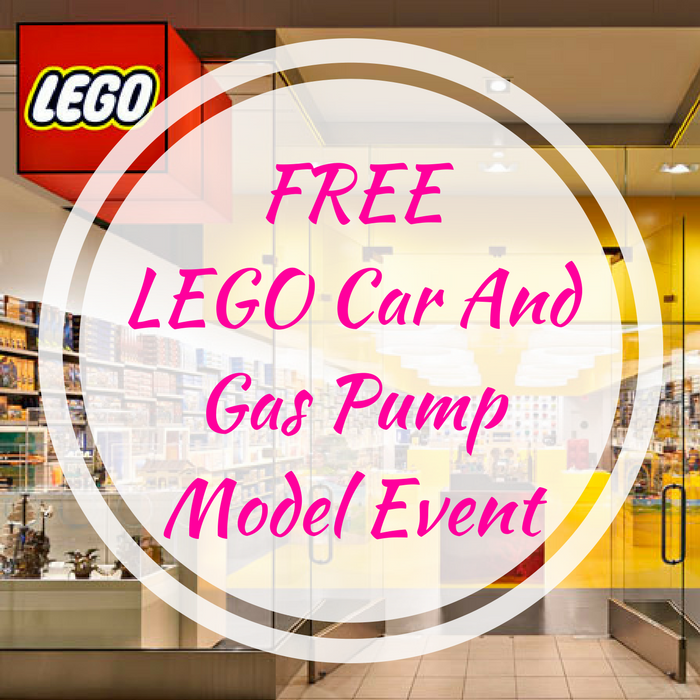 FREE LEGO Car And Gas Pump Model Event! You are here: Home / FREEbies / FREE LEGO Car And Gas Pump Model Event! On February 6-7 only! Head over to your local Lego Store to participate on their FREE LEGO Car And Gas Pump Model Event! This event begins at 5 pm and is for children ages 6-14 only. Make sure to register before heading to your store to secure your spot! Don’t miss it!